Andrea Kane is an author whose name I recognized, but hadn't yet sampled their writing. Kane is a fairly prolific writer, with a number of series to her credit. 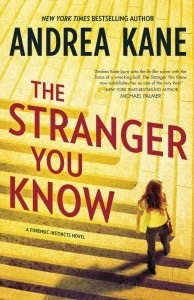 The Stranger You Know is the third entry in her Forensic Instincts series. FI is a group of experts with specialized skill sets and deep pockets, able to go and do what formal agencies can't. In this book, they have been asked to assist by local law enforcement. Kane has populated the FI crew with an interesting group of support players - a computer expert who has wired their headquarters with an electronic presence known as Yoda, an ex Navy SEAL tough guy, an FBI boyfriend, Hero, the bloodhound and most interesting - a clairvoyant. Claire the clairvoyant plays a large role in this latest entry. All members of the FI team are dedicated - and attractive. Kane's writing is easy and flows well. However, the whodunit is easily discerned and I wondered about some methods. But Kane's book is more about the delivery. Her first novels were firmly in the romantic fiction category. She has expanded into the romantic suspense field with her latest series. And quite successfully. The dynamics of the FI team includes a strong shot of romantic interest and tension between two pairs of players. The crime is designed to shock the reader - and Kane does that. The reader is privy to the killer's thoughts and actions. Gentle readers - the violence described is graphic and there are sexual scenes. Action is the order of the day in The Stranger You Know, with the body count increasing at a rapid pace as the killer makes his way to Casey. I did find the final scene a bit rushed. While not my usual style of mystery, this is an excellent entry in this genre. 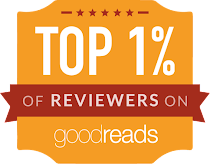 It would be a great series to recommend to readers who enjoy Iris Johansen, Allison Brennan and fans of the Monkeewrench series. It's a quick read, one you can easily tuck in your purse, pick up and put down. Read an excerpt of The Stranger You Know. "Andrea Kane's psychological thriller The Girl Who Disappeared Twice became an instant New York Times bestseller, the latest in a long string of smash hits. It introduced Forensic Instincts, an eclectic team of maverick investigators, each with different personalities and talents, all with one common bond: a blatant disregard for authority. The Man Without a Face is the next exhilarating installment in the Forensic Instincts series. 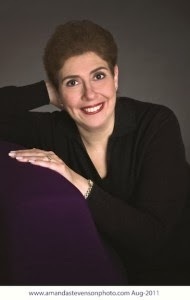 With a worldwide following and novels published in more than twenty languages, Kane is also the author of eight romantic thrillers and fourteen historical romances. She lives in New Jersey with her family, where she is plotting new ways for Forensic Instincts to challenge the status quo." You can find Andrea Kane on Twitter and on Facebook. 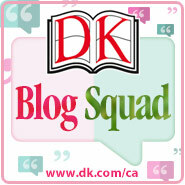 See what other bloggers on the TLC book tour thought. Full schedule can be found here. And thanks to the generosity of Harlequin/Mira, I have a copy of The Stranger You Know to give away to one lucky reader. Simply leave a comment to be entered. Open to US and Canada, no po boxes please. Ends Nov 1/13. This has me interested! Thanks for sharing. It looks like a story I would enjoy. I've loved the Forensic Instincts series thus far and I can't wait to read this new one—thanks for the opportunity to win a copy! Oooh, please count me in for the draw! Sounds like a great read! OMGosh, I really enjoy her books, the storylines are such page turners and I would love to read it. I love her books, and would really enjoy this one. Thanks for having this giveaway.